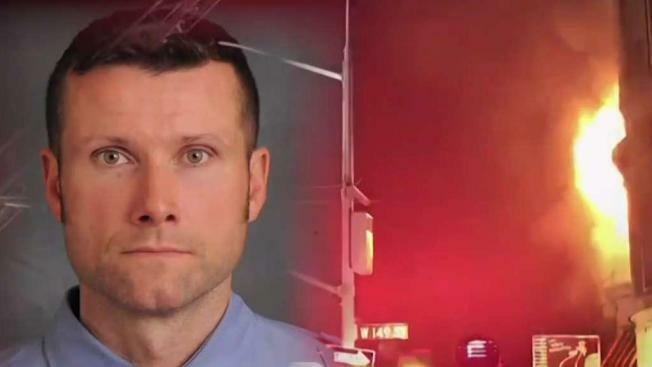 Highly combustible materials used to turn a former jazz club into a movie set contributed to the death of a veteran New York City firefighter last year, according to a fire department report released Thursday. The blaze erupted in the basement of an unoccupied Harlem townhouse where "Motherless Brooklyn," a crime drama based on the novel by Jonathan Letham, was being filmed. The report also found that plywood walls created as part of the set concealed the size of the fire and the polyurethane foam used in the set's upholstery generated large quantities of dense black smoke. "The movie production placed highly combustible materials on the walls throughout the first floor," the report said. "These movie set walls created voids which initially concealed fire. Edward Norton directed "Motherless Brooklyn" with an all-star cast including Bruce Willis, Alec Baldwin and Willem Dafoe. The film has not been released. Messages seeking comment about the fire department report were left with the movie's producers.